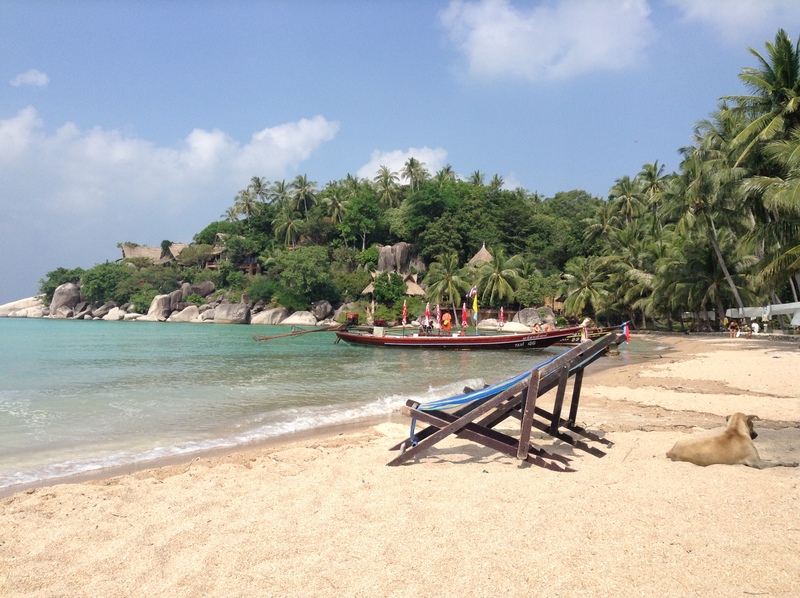 There are plenty of nice beaches all over Koh Tao, several of them are adjacent to a resort but it’s still fine for non-resident visitors to use the beach. Almost always you’ll find at least one small restaurant by beach that caters for your food and beverage needs. 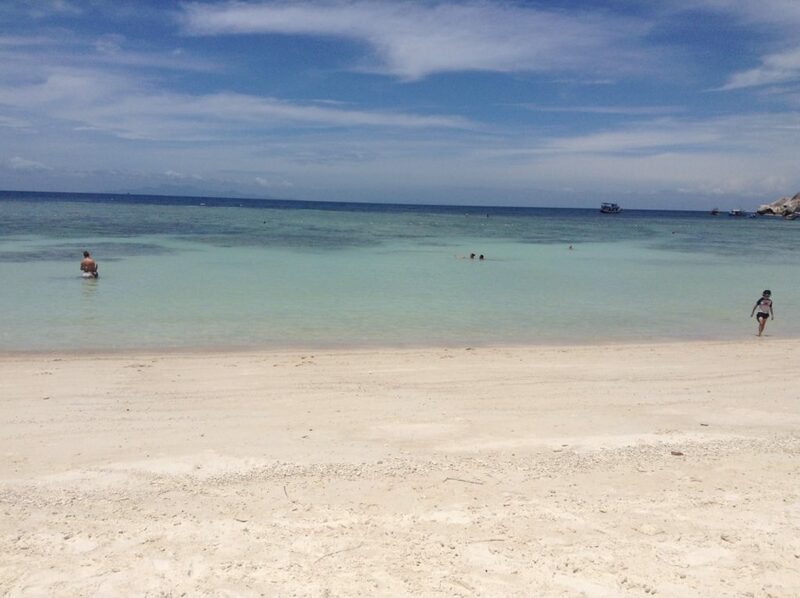 Sai Daeng Beach is a very quiet beach with well-preserved coral reefs. The beach is also known as Coral Beach as this beach has lots of coral sand and the water is clear. 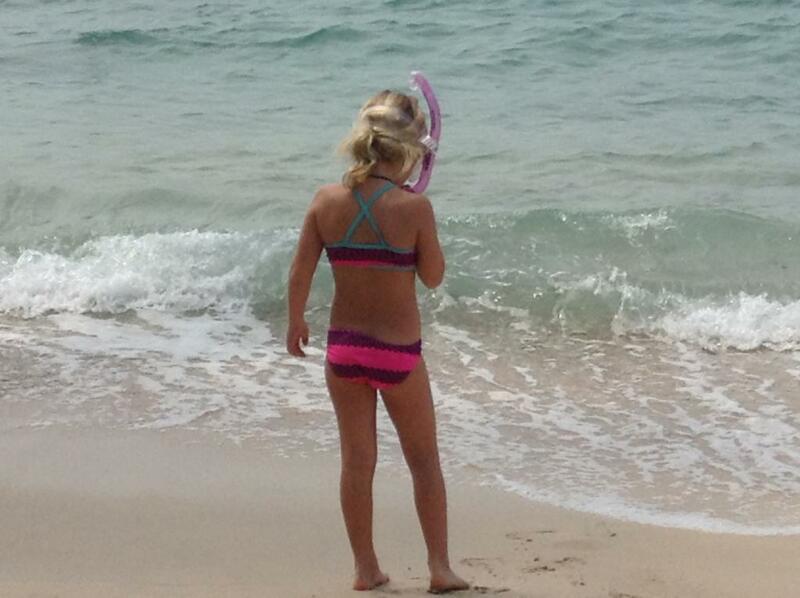 You have two nice restaurants on the beaches for soft drinks or lunch. 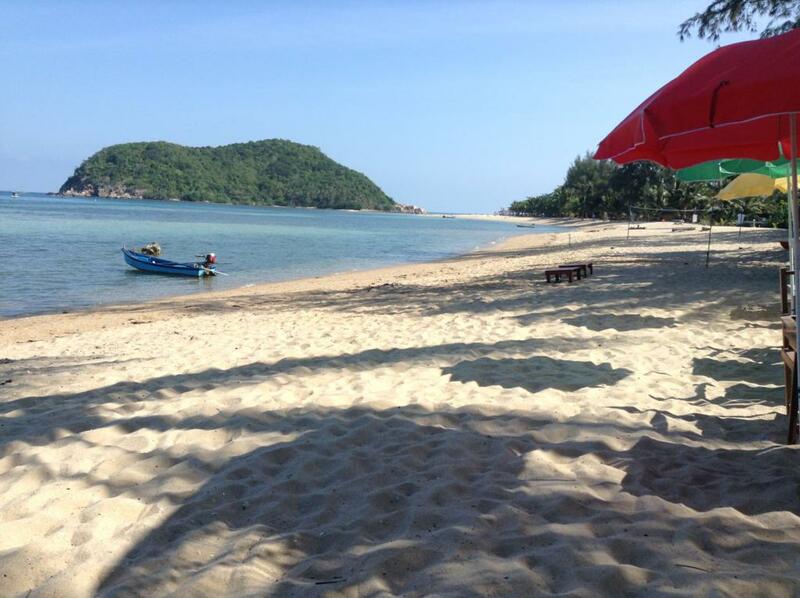 If you want crystal clear water and a fantastic view of Shark Island, then you should choose the SAI Daeng Beach. Paddle out to Shark Island in 10 minutes in good weather. It’s also a good chance to see the ”Golden Shark Island ’phenomenon which suddenly reveals itself just before sunset, depending on the weather or molninghet. If it is beautiful above sea level, it is even more to see under. 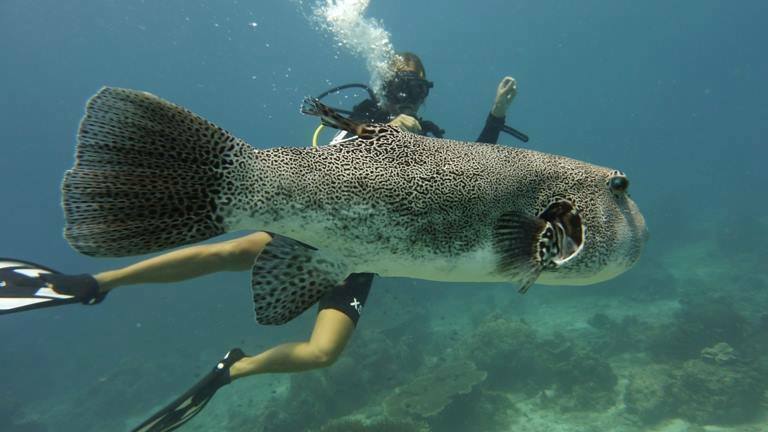 Here are several good snorkeling sites where there is opportunity to find both Blacktip reef sharks and sea turtles. This beach is both beautiful, quiet and relaxing. It´s nickname ”Shark Bay” has been given as you often see black tip reef sharks in the bay. The larger sharks found in the bay live a little further out and where it is deeper at the bottom. Here, if you are lucky, you can also get to see green turtles, because they live in Shark Bay. Some of them are real hearty. They are both friendly and unafraid of people and can get very close. Remember not to touch them because our bacteria are harmful to turtles and here in Shark Bay is the only place where they still remain. 4. 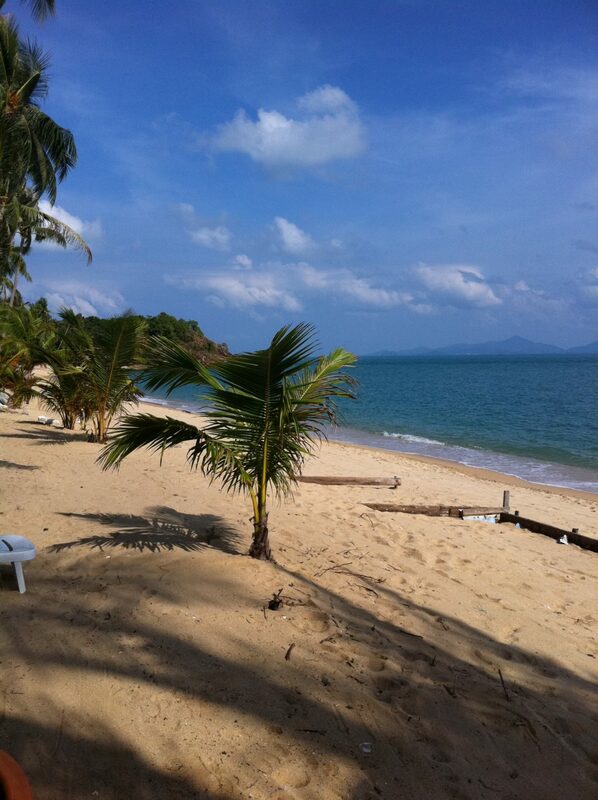 Taa Toh Lek Beach, a small isolated beach that is surrounded by jungle. You can even reach 5. Saan Jao Beach, by a cemented walkway along the water. This beach is a beach “getaway from it all” This walkway leads all the way to 6. 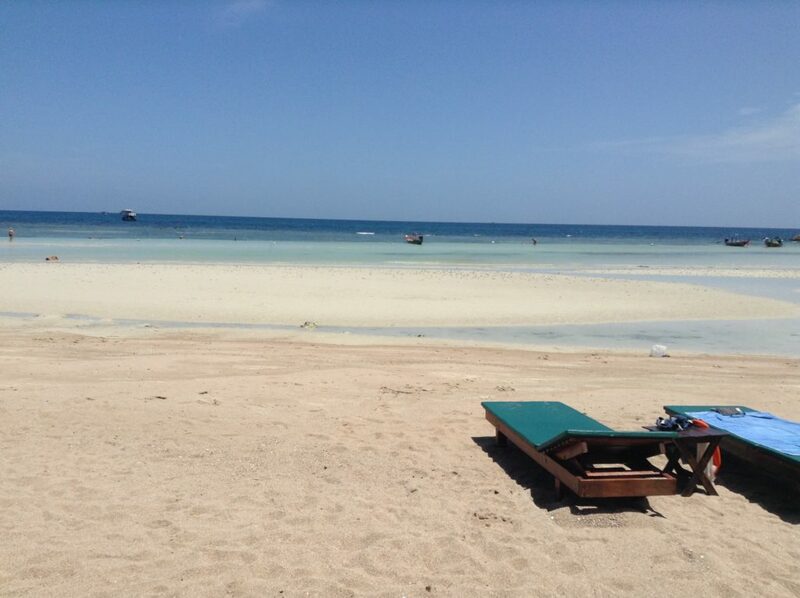 Chalok Baan Koh Bay – This is a bigger beach and has a resort connected to the beach so you can easily get softdrinks, beear and food. 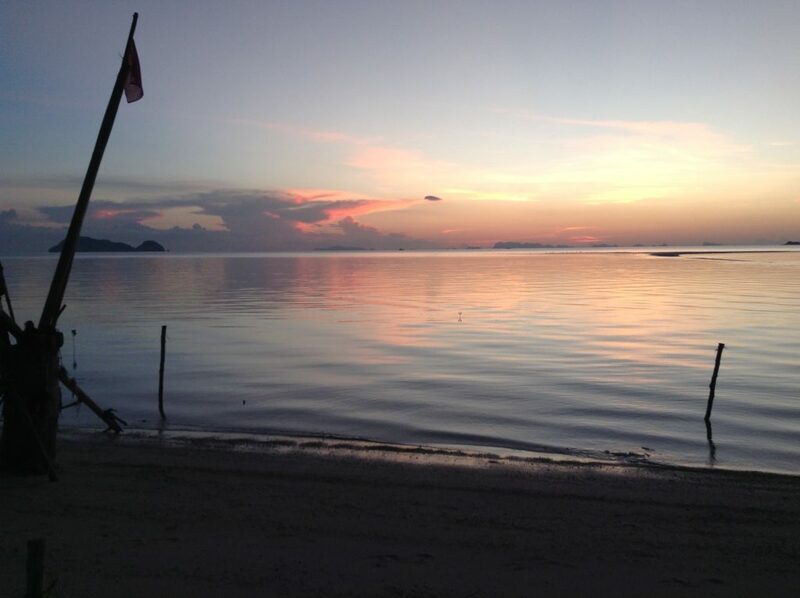 Here you have the beach with the absolute best place to see the sunset. 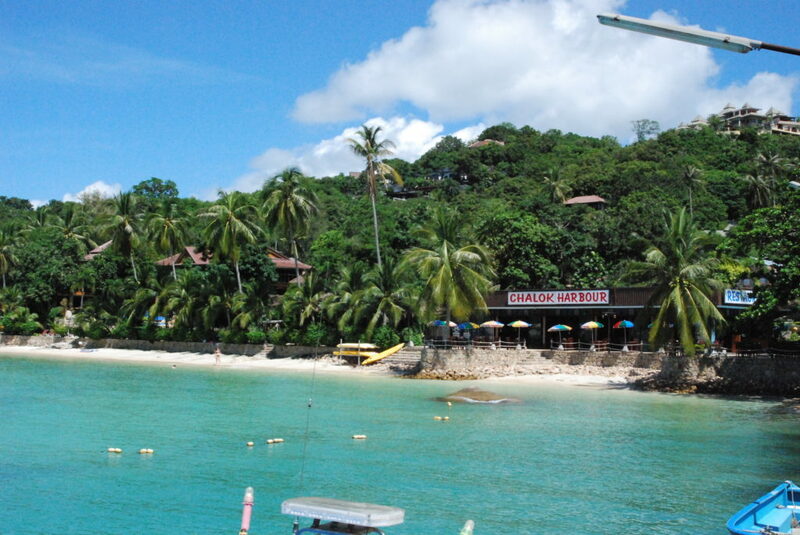 In this small beach, which is our personal favorite, you’ll find a family resort, with a small bar and restaurant. Everything you need is here and you can just enjoy the tranquility. We call for the beach ”Sun Set Beach” after the name of the resort and the sunset. 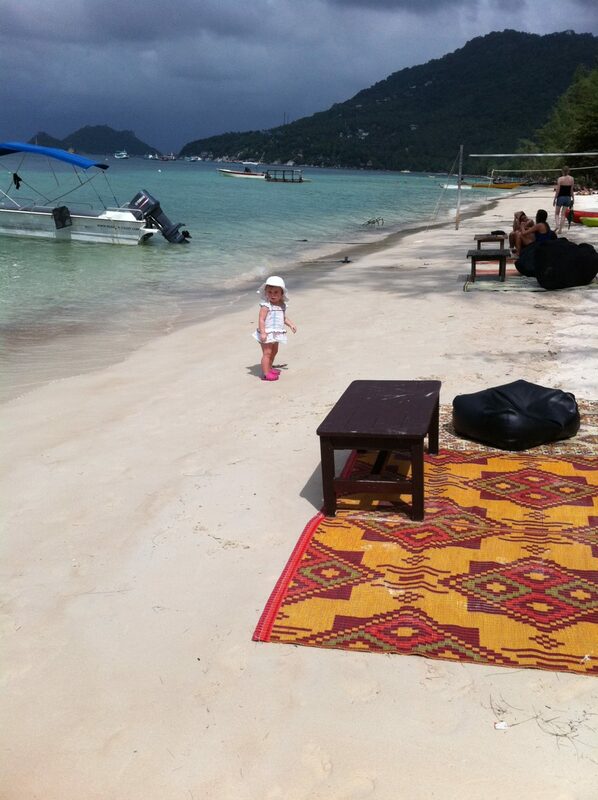 If you like you can either go there by bike or you can walk from Chalok Baan Kao. The walking distance is approximately 20 minutes. 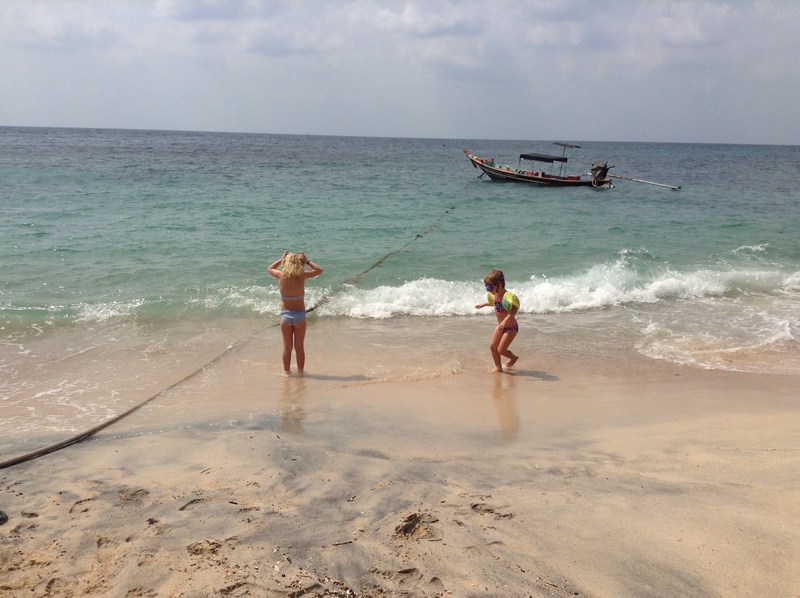 Sai Nuan Beach actually consists of two beaches, Sai Nuan 1 and 2. Those two are small beaches where nr 1 has only few bungalows on the beach. It is small and away from the crowd and during certain times of the year it is almost deserted. 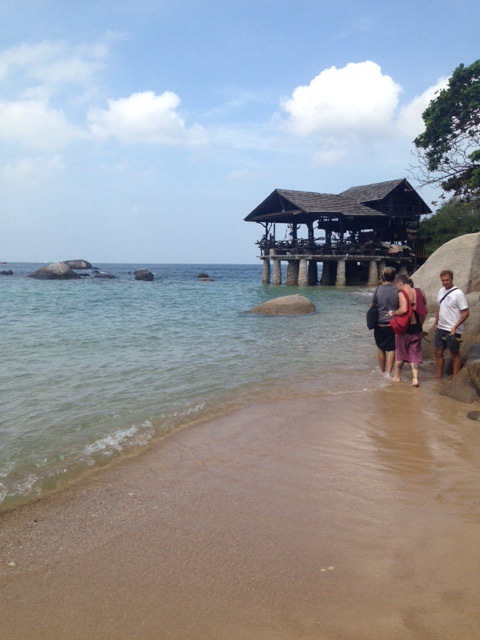 Beach nr 2, on the other hand, has two restaurants and a beautiful wooden house built of rough tree trunks, Banana rock. Where they serve only drinks of various kinds and they play great Music. This is where you go if you want to get away from people and just be in the present. 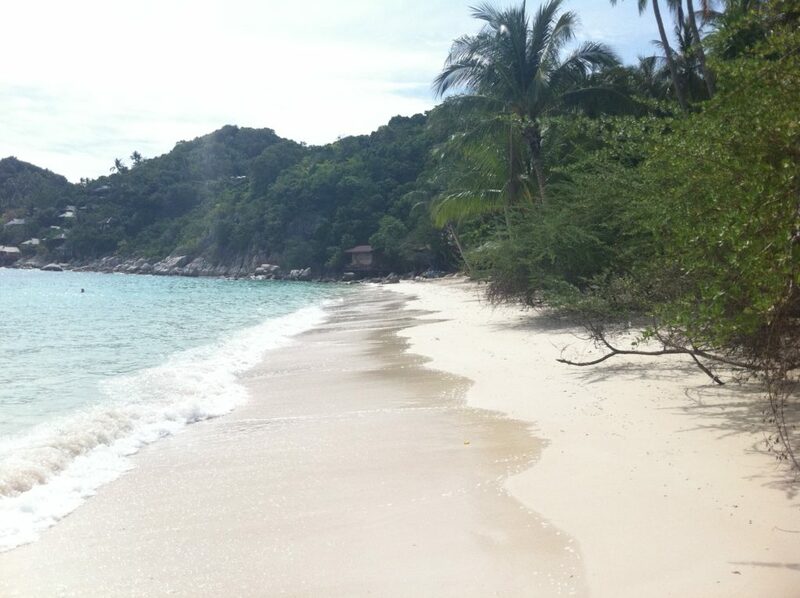 The beach has fine white sand and the water is turquoise. Since there is a large open lawn, it can become a natural playground for children. Do you want to snorkel? The water has much to show. 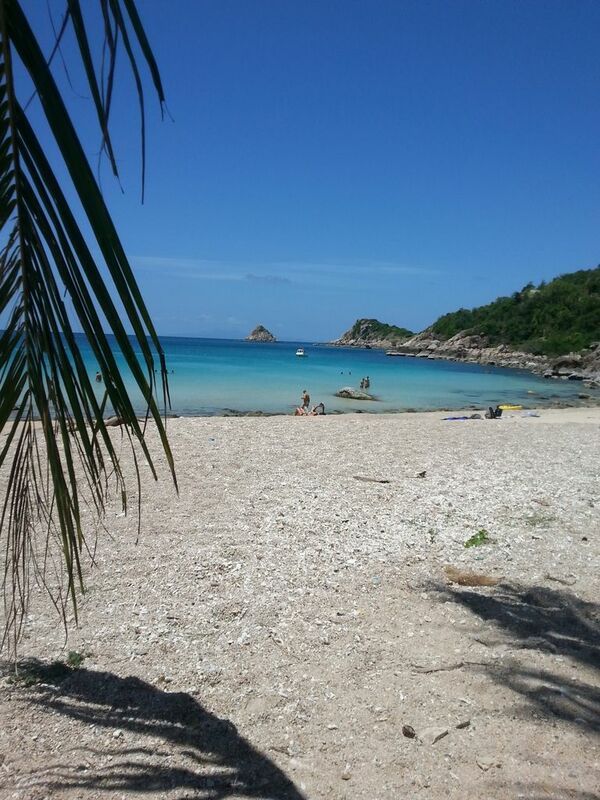 There are two large boulders near Sai Nuan 2 – there is a lot of fish and even green turtles have been seen here. 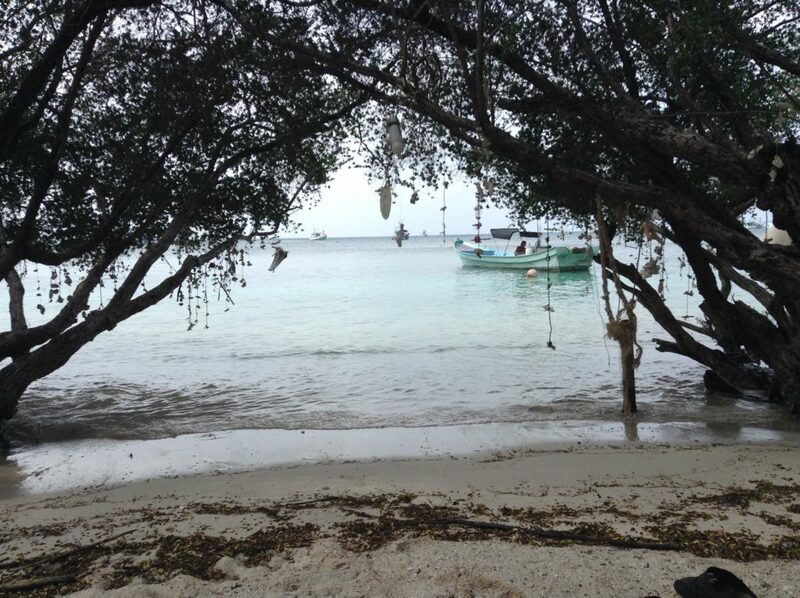 It is a quiet and relaxed atmosphere here and in the hammock, you can lie and listen to the waves and handmade pendants made of coral. Jansom Bay is a small bay with great snorkeling. Here is a varied marine life and it is not allowed to use fans. To get to the beach you need to take you through a resort, Sensi villa, and because it is private, you have to pay 200 baht to get in on the beach. But since you are there, it is lovely. You can also join your lunch and have soft drinks or beer. 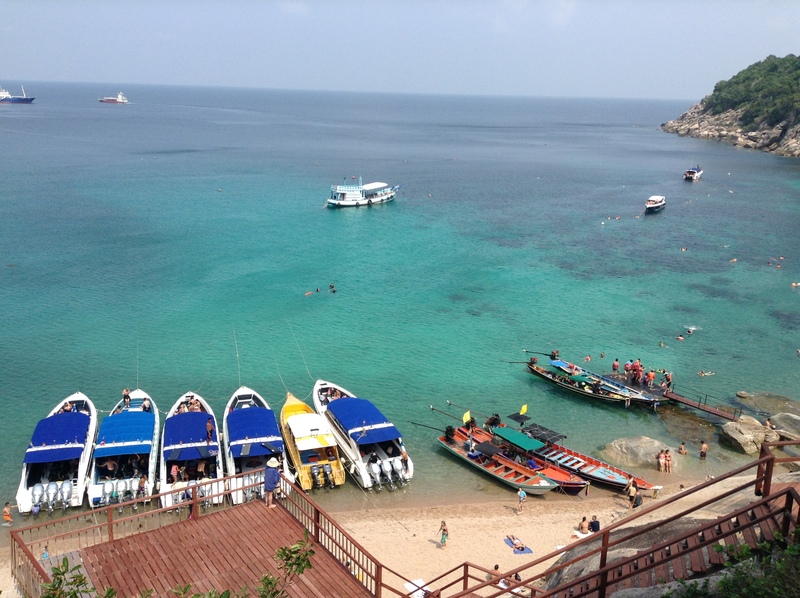 If you like to snorkel, you should go to Mae Haad Bay at the shipwreck which sank in 1962, located at the south end of the bay. There are generally lots of fish and you may be accompanied by a huge school of fusiliers as well as the blue spotted rays and sweetlips hiding about the place. 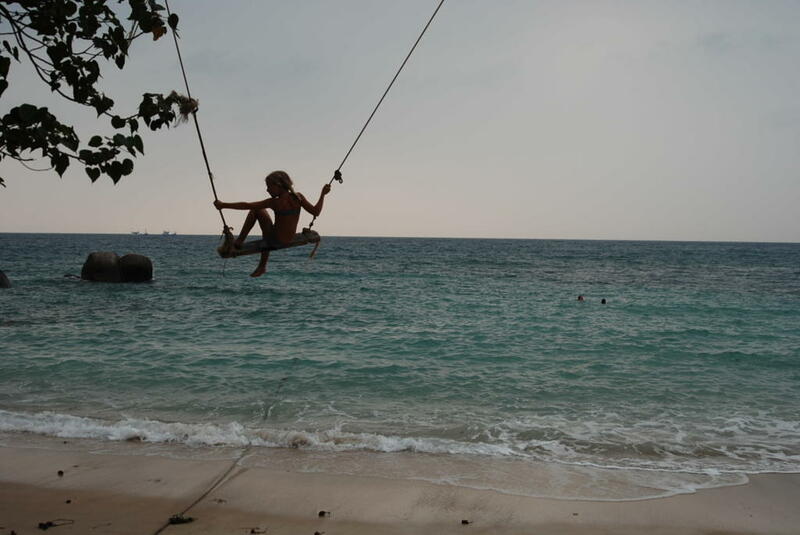 Sairee Beach is the longest and most developed beach on the island and there is a variety of restaurants, coffee shops, diving centers and bars in the area around the beach. Here you’ll also find the active night life with fire shows and music. 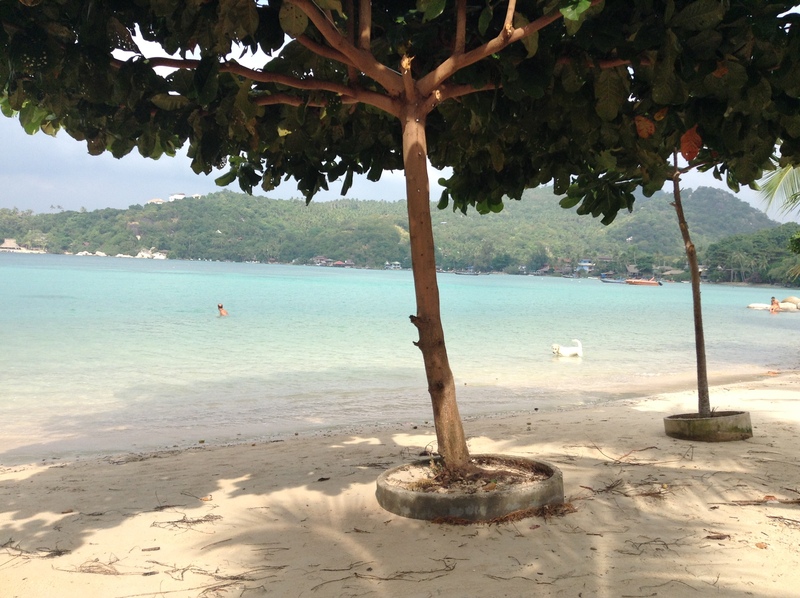 The beach has shallow waters and a coral reef to snorkel on just 30 meters from the shore. You can easily bring your children to this beach. 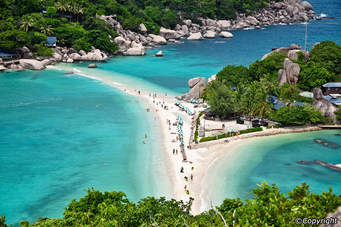 Koh Nang Yuan is said to be one of the most beautiful islands in the world and the beach is ranked among the top ten. 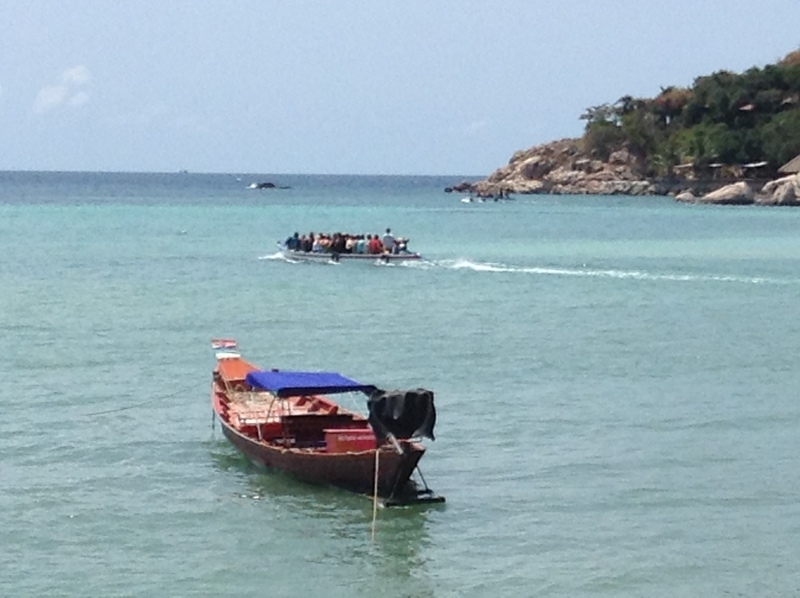 You find the easiest way there by a longtail boat from Sairee beach. The island is actually three small islands that are linked together by a sandy beach that at certain times during the day is under water ready to resurface. 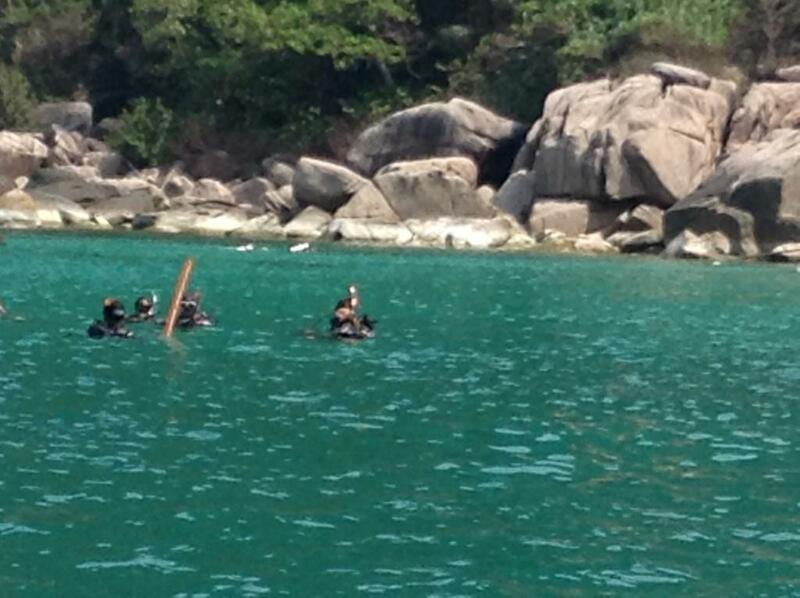 You can also reach a very nice snorkeling area known as the Japanese Garden, from the island. It costs 100 bath to enter the island and it closes at 17:00 PM. There are a lot of tourists that visit the island so try to get an early start for your visit. To reach Laem Thian over land, you have to walk. 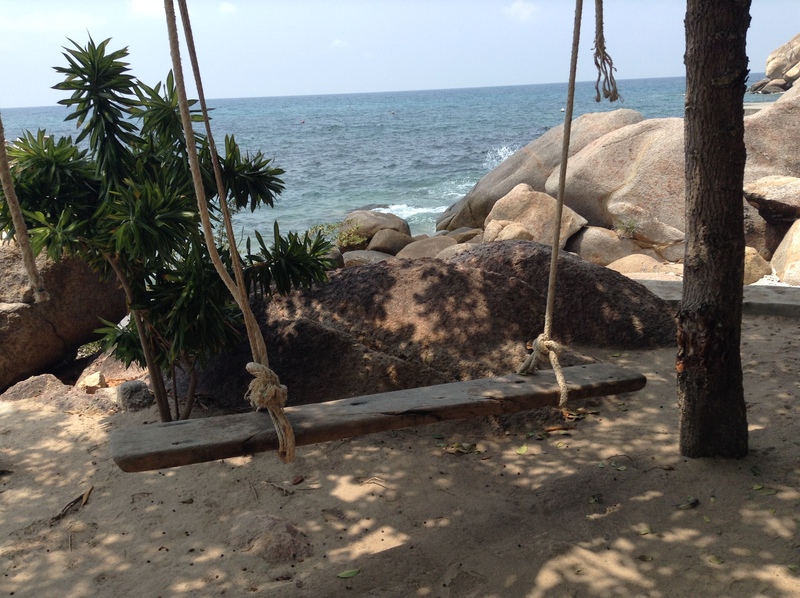 One of the best hikes you can do is to visit Laem Thian and the neighbouring bay, Aow Mao. It takes about 1 1/4 hours from Sairee town. 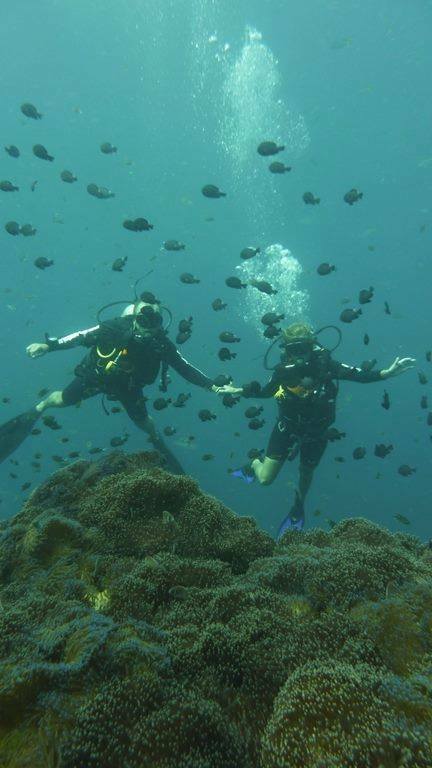 The trip is a great day trip with both hiking and snorkelling. You have to bring your own food and drinks as there are no shops or restaurants at all along the way. It´s a very nice beach were you can climb up on the big rock and jump into the water. 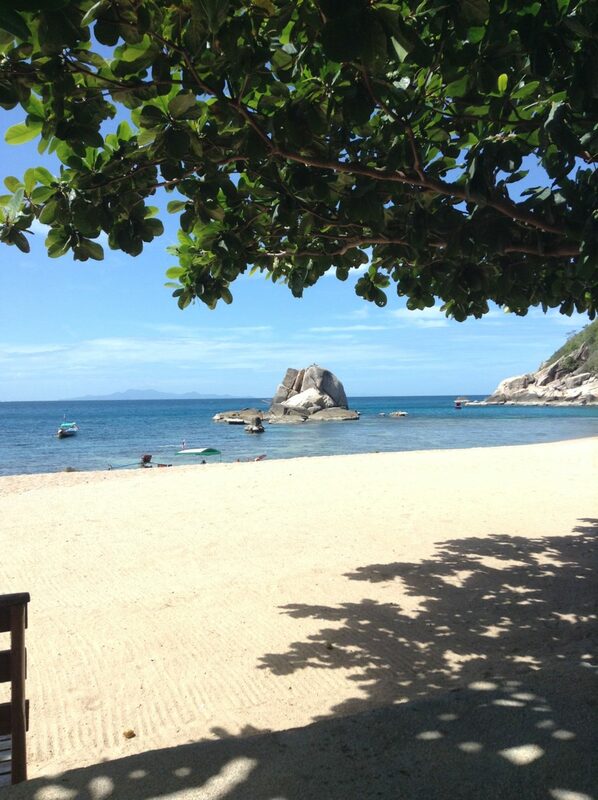 This is also a very nice snorkeling bay and just around the rock lives a lot of fish. 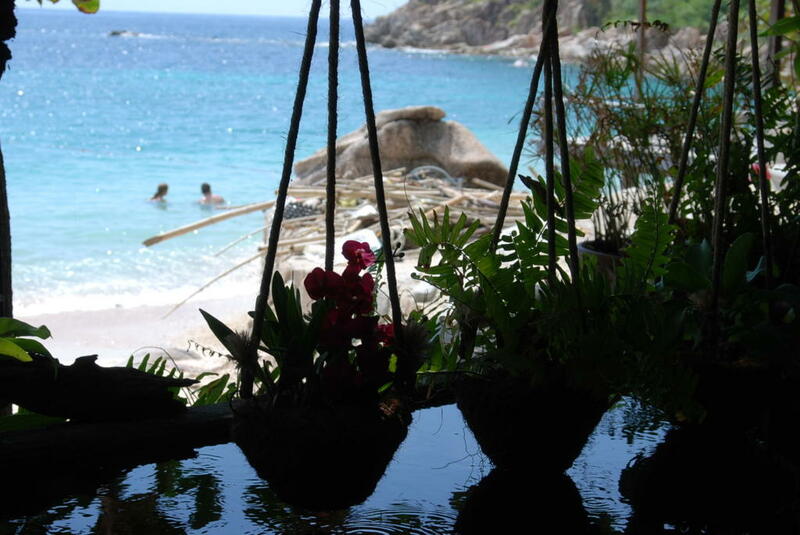 If you like to spend the whole day here you have a very nice restaurant at the resort on the beach. 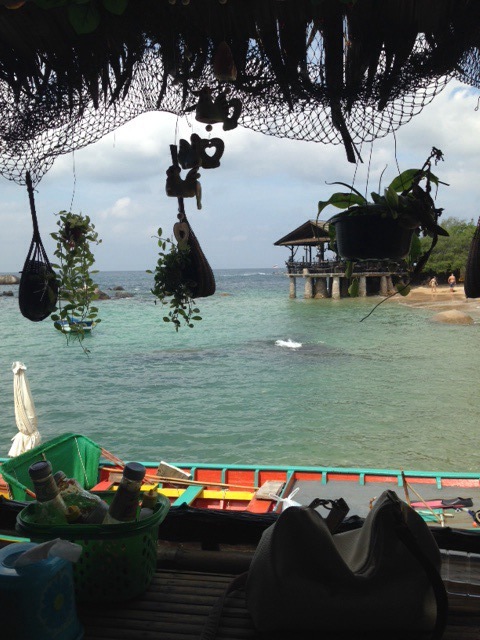 If you are at Tanote Bay, you can also kayak to Laem Thian. The two bays are quite close to each other and it takes about 30 minutes. Do remember to check sea conditions before setting out. The name Aow Leuk means ”deep bay” and is named for its deep, and the water makes it good for snorkelling even at very low tide.